The past twelve months have been tough for online rights activists in India. The country has seen a significant increase in online censorship with even international services like Netflix giving in to government demands. At the same time, the Government has also handed itself sweeping new powers to carry out mass online surveillance on the Indian people. No fewer than ten different government agencies now have the ability to snoop on users internet data. It is therefore little wonder than VPN use in India is on the rise. But which VPN is the best for people in the sub-continent? In this article, we reveal the results of our independent tests and also give you the lowdown on which VPN to use for specific tasks too. Selecting the best VPN for India is a tricky task. There are no shortage of providers that claim to be the best, but the reality is that a lot of them are not up to the job. Strong encryption – to ensure that the Government and other prying eyes can’t see what you are doing online. No user logs guarantee – if you want to be sure your data is private; a reliable no user logs guarantee is essential. Fast connection speeds – regular internet speeds in India can vary, so you don’t want to lose speed with your VPN. Always look for a provider with the fastest possible speeds. Local Servers – If you want to get around state censorship, you will want a VPN with plenty of servers both in India and in regional countries which don’t censor the internet too. Cost–effective – Many Indian people are put off a VPN by the price. But by looking for great deals and money-back guarantees, even the best VPN can become affordable. Multiple concurrent connections – One way to save money is to look for a VPN which allows multiple simultaneous connections and then share your service with family and friends. Using these features as a starting point, we have tested all the best VPNs for India. 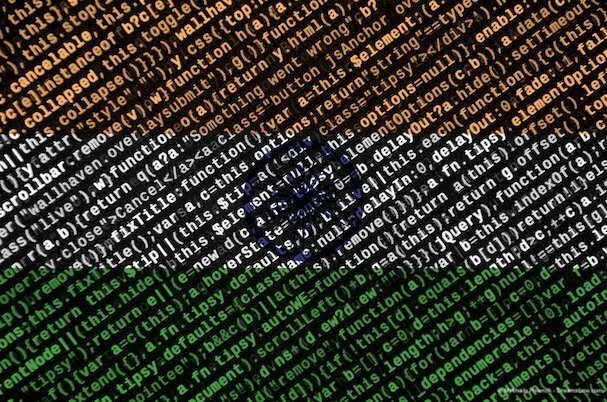 The results are in and these are our top five recommended VPN providers for India. Below you can read more in detail about each provider. ExpressVPN is a clear winner and without a doubt our top recommendation for Indian internet users in 2019. Their combination of security, privacy, and speed makes them the perfect VPN for most Indians. ExpressVPN boasts 256-bit AES encryption as standard. This encryption level is on a par with what most governments use to keep their data safe and few offer stronger. They are also based offshore, in the British Virgin Islands, which means they are not subjected to intrusive privacy laws and their no logs guarantee is assured. TIP: Check out our round-up of the Best No-Log VPN services. ExpressVPN has a massive network of servers, with many available in India, but also lots in neighbouring countries too. Their speeds are up there with the very best too and ExpressVPN lives up to its name. They are not the cheapest VPN you will find, but you can make significant savings if you sign up for longer and they do have a 30-day money-back guarantee. You can also connect up to three devices simultaneously too. If there was one VPN which ran ExpressVPN close in these tests, it was NordVPN. Their service was almost on a par with ExpressVPN and they also had the bonus of being cheaper to use, especially if you sign up for two years or more. NordVPN is also based offshore, in Panama, so privacy with them is every bit as good as with ExpressVPN. Their encryption is on par too, with 256-bit AES encryption on offer alongside a whole host of other security features also. Speeds with NordVPN are high thanks to their recent investment in upgrading their server network. This network is a pretty big one too, with no shortage of servers in India and the South Asia region. NordVPN has 15 servers available in India all allowing P2P. NordVPN also offers more concurrent connections than ExpressVPN too, with six available at the time of writing. If you want a value-for-money VPN in India, you could do a lot worse than NordVPN. If sharing the cost with friends for a quality VPN is tempting, then IPVanish will be the perfect provider for you. They offer an enormous ten concurrent connections with every account meaning they are perfect for sharing with family and friends. The price does not come at the expense of other areas of their service either. Their encryption is on a par with the others on this list, with 256-bit AES available. Their privacy policies have come under a bit of scrutiny over the past twelve months, but from the evidence we have seen so far, we are still willing to give them the benefit of the doubt. The IPVanish server network isn’t quite as big as NordVPN or ExpressVPN, but it is still a good size and includes plenty of servers in South Asia. Their speeds are pretty decent too and while they are not the cheapest VPN around, they are not the most expensive either. 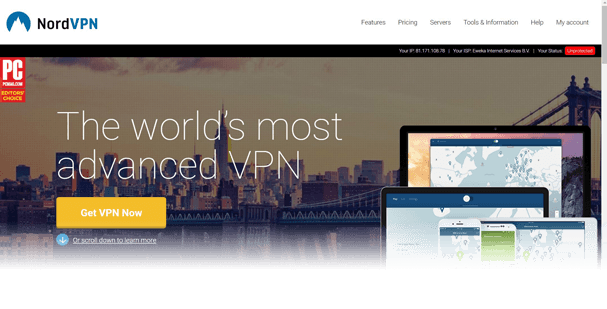 If you are new to VPNs and a bit wary of them, then CyberGhost VPN is going to be the best choice for you. Their dedicated apps are tailored to help first-time users get their VPN up and running quickly and easily. This user-friendly strategy compliments what is another very good all-round VPN. Their privacy policies are sound while like the others on this list, they also have 256-bit AES encryption available. TIP: Take a look at our full CyberGhost VPN review. Connection speeds are pretty good too, without setting any records. Their server network is not bad either with plenty of servers in India and various other south Asian countries available. CyberGhost also allows up to seven connections with every account. For the price, there is little doubt that CyberGhost offers excellent value to Indian users, especially for beginners. Privacy is a significant attraction for VPN users in India and VyprVPN is a excellent bet if that’s what you are after. They are the only provider on this list which has had their no user logs guarantee independently audited and verified. No logs means that you can be sure VyprVPN is keeping no records of what you are doing online. Elsewhere, they are an established VPN which hit the market average in most of what they do. Their server network is reasonable and includes a good selection in India and the surrounding region. Speeds are consistent, but they are not the fastest in the world. Their encryption is also 256-bit AES which means it is robust and reliable enough to keep your data secure too. Prices are mid-range, but if it is guaranteed privacy you are after, VyprVPN can certainly offer that. Which India VPN is best for you? From our testing, ExpressVPN is the best overall VPN for you in India. But that doesn’t necessarily mean it is the best VPN provider for everyone. Keeping data private – If you want to protect your online data from Indian government surveillance, ExpressVPN is our top recommendation, although VyprVPN has an independently audited no user logs guarantee which makes them a good bet too. Bypass state censorship – If you want to get around state censorship and make your own decisions over whether something is pornographic, blasphemous, or otherwise offensive, ExpressVPN is again a good bet although, in our tests, NordVPN was able to unblock slightly more. Streaming US Netflix/BBC iPlayer – If you want to stream US Netflix, BBC iPlayer, or any other overseas streaming service, then you can be confident that NordVPN will be able to unblock it. P2P – If you like to torrent media files, them all of our VPNs should be able to help, but for their combination of speed and security, ExpressVPN or NordVPN are your best bets. Connecting multiple devices – If you want to share the cost of a VPN with friends of family IPVanish’s ten concurrent connection makes them the best choice. Alternatively, CyberGhost VPN offers seven simultaneous connections making them the next best bet. Beginner-friendly – If you want a simple and easy-to-use VPN, CyberGhost VPN is the top choice thanks to its terrific user-friendly apps. It has never been more critical to have a VPN in India and our exclusive tests have made it even easier for you to choose the best one for you. Our number one recommendation is ExpressVPN, which we believe offers the best combination of privacy protection, security, and fast speeds for Indian users. But, as we have explained, if you have specific needs it could be that another provider is better suited for you. We have outlined a few scenarios and made some suggestions for you. The bottom line is that if you want to be private and secure while going online in India, you need a VPN these days. Any of the ones on this list will do the job, but ExpressVPN is your best all-round choice.